allstaractivist note: Sadly, I’ve experienced the effects of this in other people much more than I would have thought. We all do it, downplay the dangers as a way of coping with a situation that could potentially harm us. “Oh, it will be alright, this has never killed anybody” or “Eh, just a fluke, just be careful next time…”. All the things we tell ourselves in the hopes that we can return to our comfortable little lives and forget that the Big Bad Wolf was ever at the door. But there is an impending danger and ignoring it can cost you more than you would ever think possible. The Wolf is there, many in fact. We all want to be safe and that is not a bad thing however, we live in a world full of wonder and novelty, safety is but a mere construct. We cannot be safe without critical examination and knowledge, safe conditions are products of preparation. In other words, you have to look at everything that could potentially be a threat no matter how incredulous or seemingly innocuous. Think dammit, use that big beautiful brain you were given. What makes you think your little 40, 60 or 80 years on Earth has given you perfect insight when compared to the eon’s of generations before you? You could spend a lifetime, a lifetime of learning only to learn just how much there is that you don’t know. Open your eyes, look around sometime. The normalcy bias, or normality bias, is a mental state people enter when facing a disaster. It causes people to underestimate both the possibility of a disaster and its possible effects. This may result in situations where people fail to adequately prepare, and on a larger scale, the failure of governments to include the populace in its disaster preparations. The opposite of normalcy bias would be overreaction, or “worst-case thinking” bias, in which small deviations from normality are dealt with as signaling an impending catastrophe. The normalcy bias often results in unnecessary deaths in disaster situations. The lack of preparation for disasters often leads to inadequate shelter, supplies, and evacuation plans. Even when all these things are in place, individuals with a normalcy bias often refuse to leave their homes. Normalcy bias can cause people to drastically underestimate the effects of the disaster. Therefore, they think that everything will be all right, while information from the radio, television, or neighbors gives them reason to believe there is a risk. 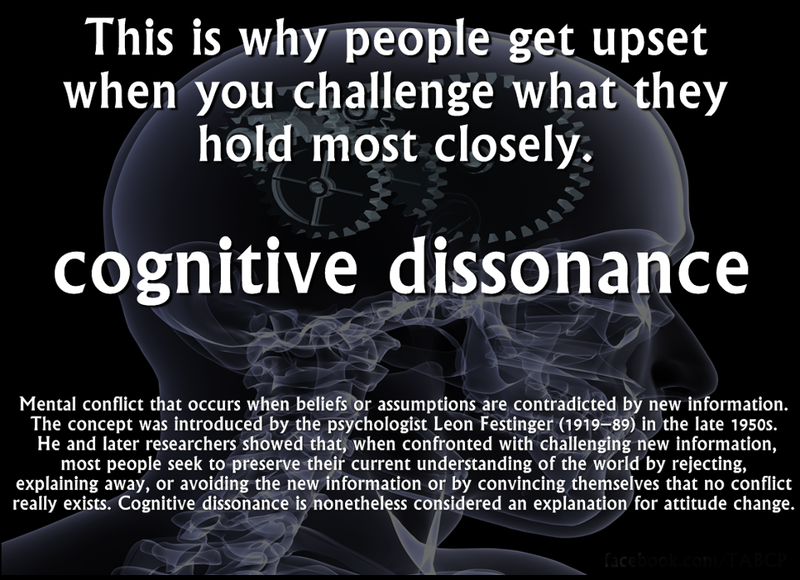 The normalcy bias creates a cognitive dissonance that they then must work to eliminate. Some manage to eliminate it by refusing to believe new warnings coming in and refusing to evacuate (maintaining the normalcy bias), while others eliminate the dissonance by escaping the danger. The possibility that some may refuse to evacuate causes significant problems in disaster planning. The normalcy bias may be caused in part by the way the brain processes new data. Research suggests that even when the brain is calm, it takes 8–10 seconds to process new information. Stress slows the process, and when the brain cannot find an acceptable response to a situation, it fixates on a single and sometimes default solution that may or may not be correct. An evolutionary reason for this response could be that paralysis gives an animal a better chance of surviving an attack; predators are less likely to see prey that isn’t moving. aftermath, or reestablishing equilibrium after the fact by providing supplies and aid to those in need. The opposite of normalcy bias is overreaction bias. Noting the effect regression to the mean, most deviations from normalcy do not lead to catastrophe, despite regular predictions of doomsday. Logically, both underreaction (“normalcy bias”) and overreaction (“worst-case thinking”) are cognitive flaws. Oda, Katsuya. “Information Technology for Advancement of Evacuation” (PDF). National Institute for Land and Infrastructure Management. Retrieved 2 November 2013. Ripley, Amanda (25 April 2005). “How to Get Out Alive”. TIME Magazine. Retrieved 11 November 2013. Valentine, Pamela V.; Smith, Thomas Edward (Summer 2002). “Finding Something to Do: the Disaster Continuity Care Model” (PDF). Brief Treatment and Crisis Intervention (From the School of Social and Behavioral Science at the University of Alabama-Birmingham (Valentine) and the School of Social Work at Florida State University (Smith): Oxford University Press) 2 (2): 183–196. ISSN 1474-3329. Retrieved 2 November 2013. “This is a world where a relatively ordinary, technical, information-technology problem such as the so-called millennium bug was interpreted as a threat of apocalyptic proportions, and where a flu epidemic takes on the dramatic weight of the plot of a Hollywood disaster movie. Recently, when the World Health Organisation warned that the human species was threatened by the swine flu, it became evident that it was cultural prejudice rather than sober risk assessment that influenced much of present-day official thinking.” Source: Frank Furedi, “Fear is key to irresponsibility”, The Australian, Oct. 9 2010 (retrieved April 18, 2014); extracted from the speech, “The Precautionary Principle and the Crisis of Causality,” September 18, 2010.